UNITED NATIONS: Pakistan has cited the lack of implementation of UN Security Council resolutions on Kashmir, which pledged self-determination to the Kashmiri people, as an example of the 15-member body’s inability to fulfill its responsibility. Speaking at the UN General Assembly’s negotiations on Security Council reforms, Pakistan’s Permanent Representative to the United Nations, Maleeha Lodhi said this is another compelling reason for reform of the world body. She said solemn promises have been broken, on not one, but several resolutions on Kashmir, and undertakings reneged on. 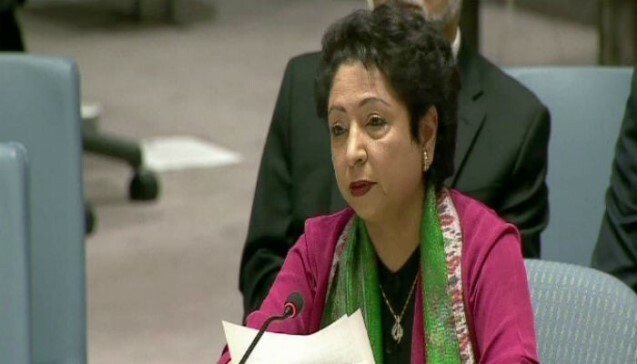 Urging reforms in the Security Council’s working methods, Ambassador Lodhi said such moves should be aimed at enhancing the transparency, openness and inclusive decision making in the functioning of the body. She underscored that the best way to ensure a responsible and accountable Security Council would be to strengthen the role and authority of the General Assembly in determining its representation in the Council.